Trampa de luz blanca CDC miniatura con funcionamiento a pilas, con célula fotoeléctrica. Diseñada para simplificar la recolección de mosquitos. Funciona a 6 voltios pero va preparada para su uso con 4 pilas que van dentro de un recipiente estanco (se sirve en el kit). También funciona con baterías de plomo (ref. G8111). Si lo desea, nos queda una sin célula fotoeléctrica, 60 € más barata. Para las mismas aplicaciones que la G850, con la ventaja de funcionar con pilas, así como con baterías de 6 voltios y célula fotoeléctrica. Duración de las pilas para funcionamiento normal entre 3 y 4 noches. La célula fotoeléctrica controla el funcionamiento de todo el aparato a la vez, sin posibilidad de mantener algunas prestaciones en funcionamiento y otras no. Esta trampa no funciona sin la célula fotoeléctrica colocada. También se pueden conservar las muestras en líquido (alcohol) con el dispositivo ref. G8521. Tiene una protección para evitar que la lluvia afecte la parte eléctrica. Funciona con un ventilador que aspira los mosquitos por la parte superior y cámara de recogida en la parte inferior. Atrae la mayoría de especies de mosquitos comunes. Con red tupida, apta para Phlebotomus. Siempre en stock. Fabricada en USA. The CDC Miniature Light Trap was developed by the U.S. Centers for Disease Control to provide a reliable and portable sampling device for the collection of mosquitoes and sand flies used in arbovirus and taxonomic studies. 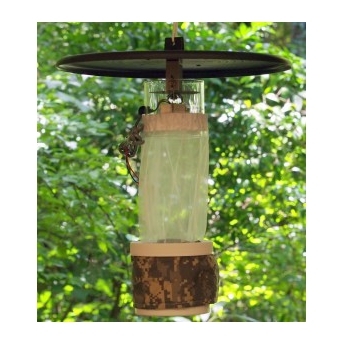 This basic trap is capable of once-a-day tending when fitted with the PhotoSwitch. Control motor and light with optional ON/OFF photoswitch. 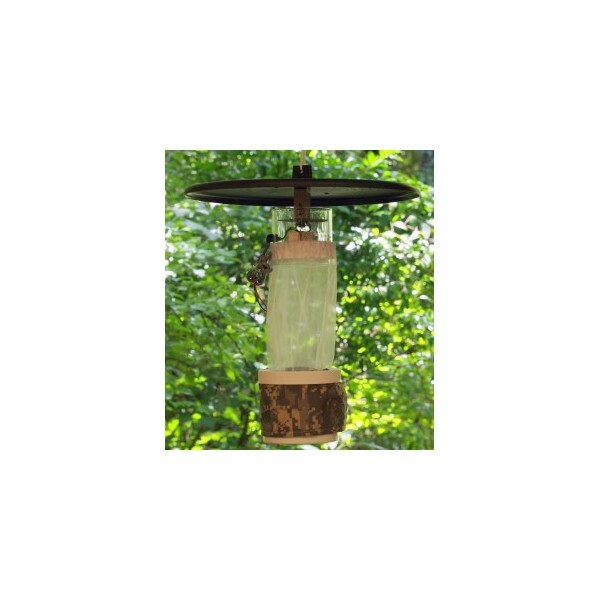 This battery operated trap is being used throughout the world in arbovirus and taxonomic studies. 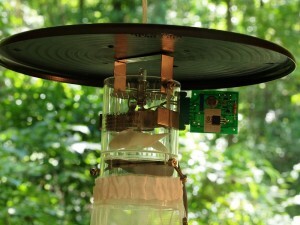 It has become a standard, battery-operated survey tool for mosquito control operations. This basic trap is capable of once-a-day tending when fitted with the optionally available PhotoSwitch (LCS-2) and Air-Actuated Gate System. When configured with a switch and gate, it is possible, with only a small battery, to collect for 3 or 4 nights with only one trip to the trap. The LCS-2 (part number 1.60) turns a trap on at dusk and off at dawn. 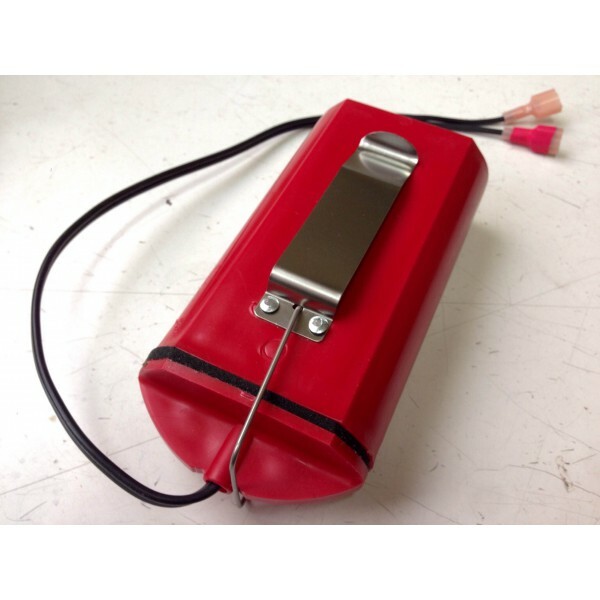 When used with the optional Air-Actuated Gate System, the LCS-2 conserves battery life and allows a single trip to the trap per day for consecutive days of collection. Our patented gate system employs a butterfly check valve downwind of the motor which is opened by air from the fan and closed by counter-balancing weights. The gates and pivot shafts are made of stainless steel and are entirely maintenance free. 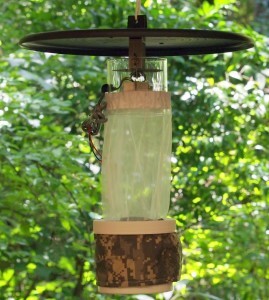 When used with the CDC Miniature Light Trap fitted with a PhotoSwitch, it is possible to use only a small battery to collect for 3 or 4 nights with only one trip to the trap. When a series of traps are being run, the combination of PhotoSwitch and gate system results in substantial labor savings by allowing once-a-day tending and eliminating the need for early morning and late evening work.